Convenient consultations: Just send in photos and Dr. Smith can provide an evaluation and recommendations via email, video chat or over the phone. For patients who can fly in, we will schedule an in-person, pre-operative appointment. Otherwise, we can analyze your lab work and communicate long distance. Easy accommodations: To make your stay comfortable and convenient, Smith Cosmetic Surgery maintains a partnership with the newly appointment Hyatt House in the Denver Technology Center. The deal guarantees a special suite rate for our patients and includes access to all of the Hyatt’s amenities to create a cozy home away from home during your stay in Denver. We are happy to facilitate your reservation. Post-operative care: Since all Smith Cosmetic Surgery patients are required to have a responsible adult transport them following surgery and remain with them the first night, and in most cases, for a next-day post-operative visit, we can provide a caregiver for patients who are traveling alone. 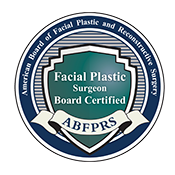 We are happy to facilitate a post-op assistant for an additional fee. 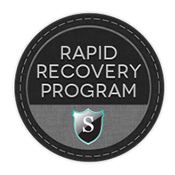 Follow-up appointments: To ensure effective healing in conjunction with our Rapid Recovery Program, we typically schedule follow-up appointments the day after a cosmetic surgery, as well as at one week out and 10 days post-op. While recovery will vary depending on the procedure, most patients return home 10 days to two weeks from the date of their surgery.